OMG Posters! » Archive "Weapons of Mass Creation" Art Prints by Angryblue - OMG Posters! 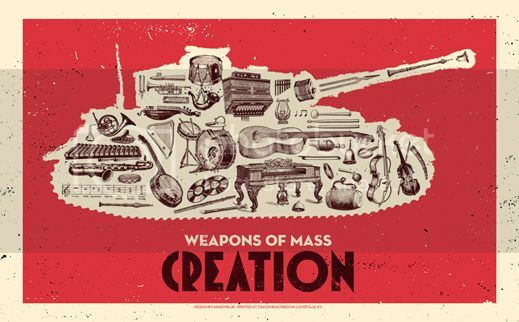 Angryblue continues his “Weapons of Mass Creation” series with a brand new one, “Music”. You can also score new versions of “Cooking” and “Art”. 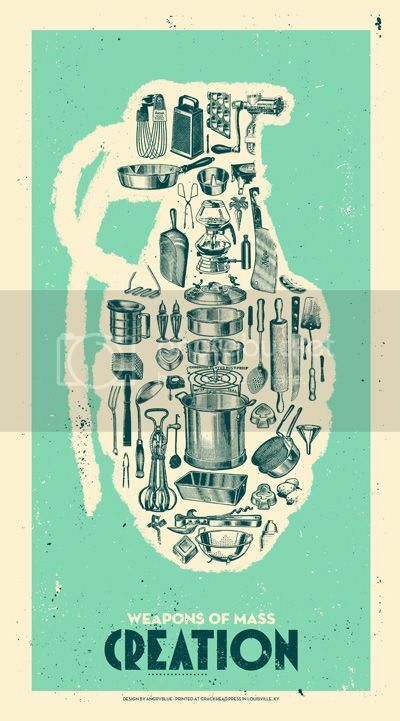 These are all 12″ x 24″ to 15″ x 24″ screenprints, have editions of 150, and costs $20 each (or $50 for all three). Visit Angryblue.com. These are the rad. WANT. Man, I got burned on my last order. after friendly monthly emails about my missing order, i get nothing but silence on the other end. I understand these artists are busy, but a little customer service would be very much appreciated.